Arohana: In Indian classical music, the ascending scale of notes in a raga is called Arohana. The pitch increases as we go up from Shadja (Sa) to the Taar Shadja (Sa). 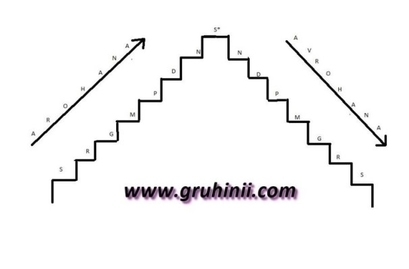 Avarohana: In the same manner the descending scale of notes in a raga is called Avarohana. The Pitch decreases as we go down from Taar Shadja (Sa) to Shadja (Sa) . You can see in the above picture. maayamaaLava gowLa raagam, 15th melakartha, Aadi Talam.